Black gloss looks unusual and dignified. This is one of the most elegant, sophisticated decoration solutions that contribute to a rich environment in any home. 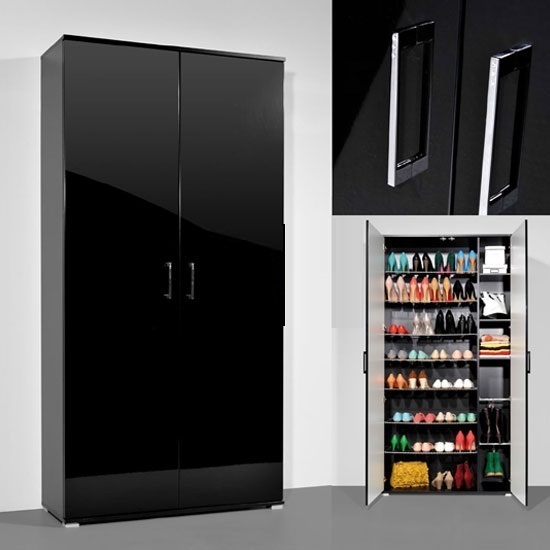 If you are looking for something that is time relevant and incredibly stylish, a shoe cabinet in black gloss is definitely one of the options worth considering. Black is one of the most neutral colours when it comes to interior decoration. Even though the most impressive combination will be based on the contrast of black and white, it is possible to combine black gloss with any other shade(s) you have in mind. Another important advantage is that black looks very compact. No doubt, physical dimensions are physical dimensions, but if you prefer furniture that looks more compact than it actually is, sticking to black units is one of the best ways to go. 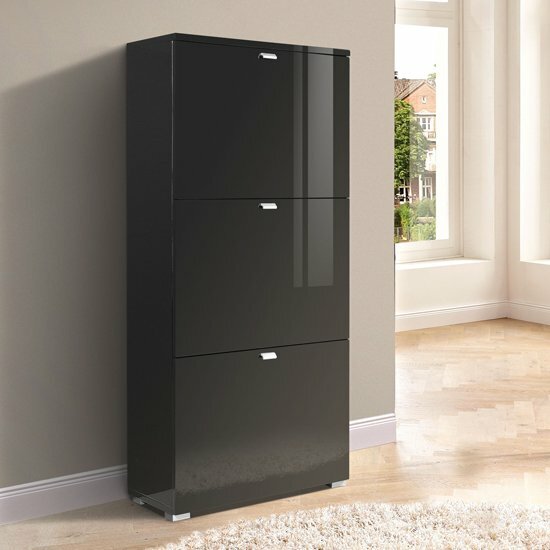 Shoe cabinet in black gloss is not one of those models that are hard to find. And, of course, there are also plenty of designs and assemblies to consider. You will have a chance to choose from a variety of items, so take some time to consider what you’re looking for in advance. Most of high gloss furniture units are made of MDF. Still, it is also possible to find a couple of models made of genuine wood. Sure, the latter option is way more durable, even though quite expensive. On the whole, it is wiser to go with MDF – after all, wooden cabinets look most impressive in natural shades rather than covered in lacquer. 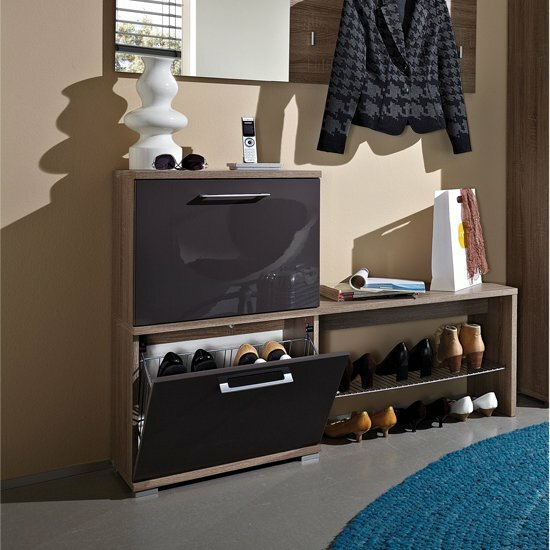 Shoe cabinet in black gloss is perfect for contemporary homes that already have some other glossy furniture installed. They also look very impressive in combination with glass and chrome — a couple of other modern decoration elements. And, of course, it is not difficult to find sun cabinets in any more or less decent furniture store. If you live in the UK, one of the best stores to start your search of a shoe cabinet — black gloss or white one — would be Furniture in Fashion . This huge e-commerce platform offers one of the biggest selections of contemporary furniture at an affordable cost. Yet, what is even more important is that this store works with the leading furniture manufacturers and supplies only highest quality products. All in all, if you are looking for a reasonably balanced combination of high quality, moderate price, and stylish design — this is one of those stores that deserve your attention.